Many things in life can impact nutrition habits as well as being physically active. We can quickly lose sight of the benefits of living healthfully. While we work tirelessly to balance work, family and busy social calendars it may seem there is not much room for taking care of our bodies. By developing good dietary and fitness habits, one not only increases their state of physical health but can make significant improvements to their mental clarity and energy levels. It’s important for us to think about how we are fueling our bodies and work towards getting the recommended 60 minutes of physical activity daily. 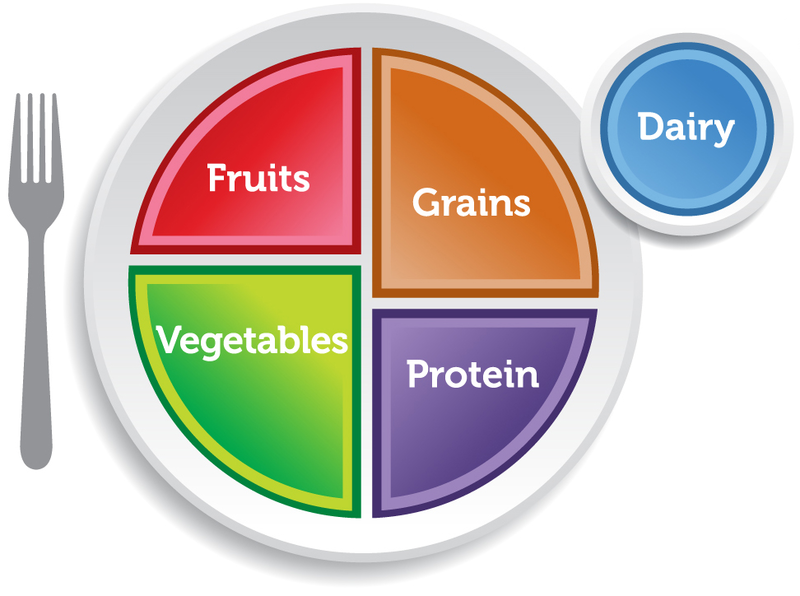 To start, it is best to work towards building a balanced plate by planning ahead for meals and making sure healthy snacks are on hand. Doing so keeps the metabolism going, gives us energy and prevents overeating. It’s Colorful:Half of your plate should be full of fruits and vegetables to provide you the necessary nutrients to improve your physical and mental health. It’s Lean:One quarter of your plate should be a lean protein like fish, beans, egg whites, nuts, or chicken to help you feel fuller throughout the day. It’s Complex:One quarter of your plate should be complex carbohydrates (whole grains) such as 100% whole wheat pasta or bread, bran cereal, or brown rice to keep energy levels steady throughout the day. To achieve 60 minutes of physical activity daily mark a dedicated time on the calendar to walk (even during lunch is a good opportunity), play sports, garden, work in the yard, or go biking with the family. Good news is that the 60 minutes can be accumulated throughout the day so you can do multiple shorter sessions of throughout the day. Reduces risk of some diseases. Helps maintain a healthy body weight. Start building your healthy lifestyle today with a few simple changes to your plate and moving more!